An enigmatic policeman - currently the subject of an internal investigation - is found burned to death in his car on the Southend sea front. A vulnerable young woman, fresh out of the care system, is trying to discover the truth behind the sudden death of her best friend. As DS Frank Pearson and DC Catherine Russell from the Essex Police Major Investigation Team are brought in to solve the mystery that surrounds their colleague's death, they're under intense pressure to crack the case without damaging the force's reputation. When a dramatic turn of events casts a whole new light on both cases, the way forward is far from clear. Were the victims connected in some way? And just how much should Pearson and Russell reveal to their bosses as they begin to unearth some dark secrets that the force would rather keep buried? 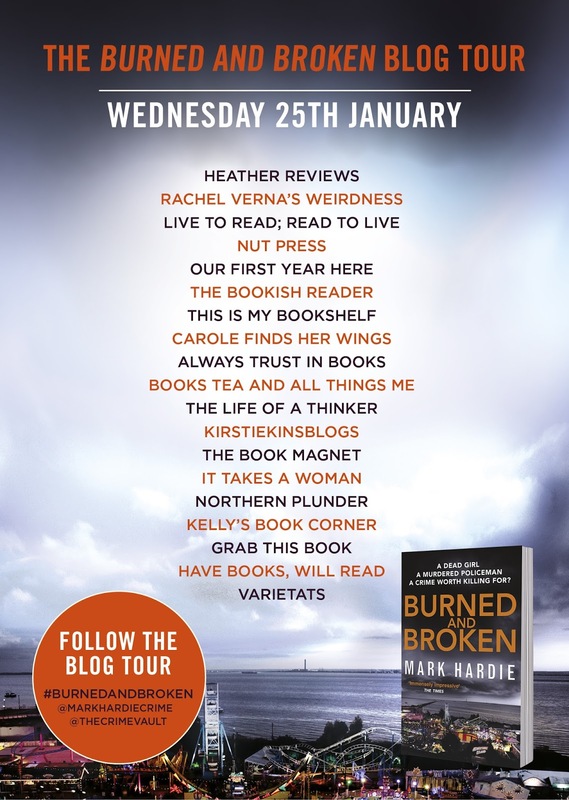 With a gripping prologue, we are launched straight into Burned and Broken with the suspicious death of DI Sean Carragher. DI Carragher is under investigation and when he doesn't turn up for work, it is his partner, DC Cat Russell, who is put under the spotlight, being asked questions about Carragher. When Carragher's body is found in his burned out car, DS Frank Pearson heads up the investigation into the death of one of their own. The story is two-fold, with a young girl, Donna, trying to get somebody to listen to her about her friend's death. Alicia and Donna met in a children's care home and due to their troubled past, Alicia's death was not seen as suspicious. Donna is haunted by Alicia's death and together with her new strange friend, Malcolm, they try to piece together what happened. Both stories appear completely unrelated but they come together superbly at the end, and I certainly didn't see it coming. I think perhaps that sometimes there was too much going on to throw the reader off the scent, as I occasionally felt that the story was a bit disjointed and didn't flow as well as it should have. On the other hand, I loved the dynamic of Pearson and Russell and the sneaky peaks into Pearson's private life showing that he is well and truly married to the job. Burned and Broken is a good introduction to Pearson and Russell, however, it only manages to scratch the surface of these characters. 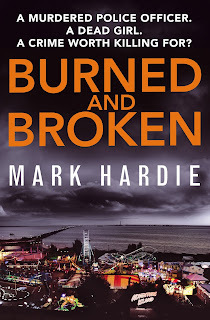 Although perhaps not quite in the same league as Peter James, it's a good start to a series and I'd be keen to read more books starring this duo to see where the story takes them. 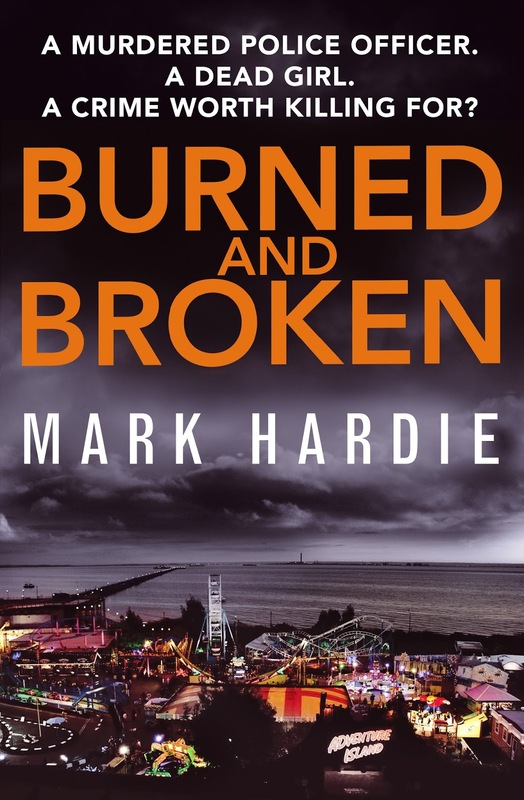 Mark Hardie was born in 1960 in Bow, East London. 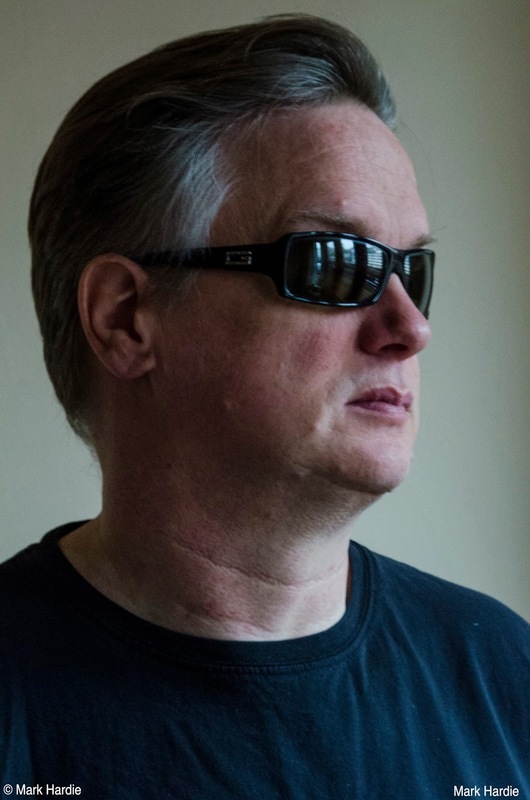 He began writing fulltime after completely losing his eyesight in 2002. He has completed a creative writing course and an advanced creative writing course at the Open University, both with distinction.